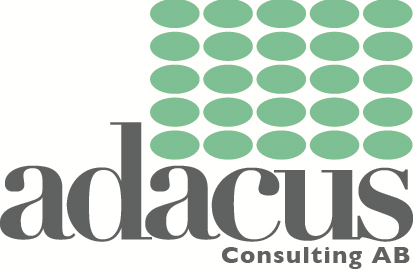 Adacus Consulting AB are active in several business areas. Start-up, structural change or streamline the activities and work processes, for national or International corporates . Lead and manage major projects in Industry, Construction, Telecom, Energy, Logistics and IT, with excellent results from overseas assignments and projects both in China, Thailand Scandinavia and Continental Europe. Support existing organizations at the start-up of new machines and processes; step in to improve the quality and production goals set up. Develop, manage and implement training programs preferably for Industrials and corporates, tailor made programs for special and specific needs. I have been invited as a guest teacher, lector to Swedish University’s, speaking about environmental architecture and process management.